On 1 January 1977, a group of mainly Prague-based intellectuals of varying political, social, and religious backgrounds published an appeal for human rights in Czechoslovakia. The 242 original signatories of the appeal referred to the International Covenant on Civil and Political Rights as well as to the International Covenant on Economic, Social, and Cultural Rights that were signed on behalf of the Czechoslovak Socialist Republic in 1968 and affirmed during the Conference for Security and Co-Operation in Europe, which took place in Helsinki in 1975. The relevant texts were published in the Czechoslovak register of law by October 1976. The signatories concluded: “From that date our citizens have the right, and our state the duty, to abide [human and civil rights]” (Skilling 1981: p. 209). Following this legalistic approach, Charter 77 demanded nothing but the rule of existing law in a Communist state. The Charter pointed thoroughly to the everyday violations of such rights, in terms of the state’s denial of the freedom of public expression, the freedom from fear, or the freedom of religious confession. In doing so, the appeal deconstructed, in earnest and neutral wording, the Communist propaganda of a humanist and progressive state, and laid bare the unlawful persecution of democratic protest in Czechoslovakia. Beyond this call for the rule of law and human rights, Charter 77 refrained from any political programme, nor did it form a political organisation. This purposeful self-limitation sought to prevent any prosecution, but eventually failed; the Communist authorities soon imprisoned leading Charter leaders and harassed the signatories. 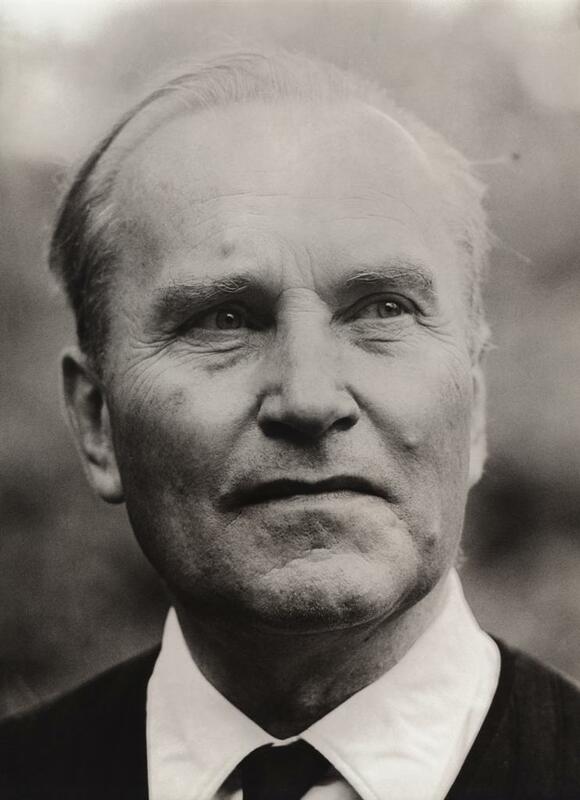 Jan Patočka in 1971 (photograph by Jindřich Přibík, Archív Jana Patočk). By Jindřich Přibík (Archív Jana Patočky) [GFDL or CC BY 3.0], via Wikimedia Commons. The text of Charter 77 was published during the first days of January 1977 in major Western newspapers, including the New York Times, Le Monde and Frankfurter Allgemeine Zeitung. In addition, several signatories contacted Western intellectuals or politicians like Heinrich Böll, Enrico Belenguer, or Arthur Miller, asking for and eventually receiving their support. At the same time, the appeal was circulated amongst Prague dissidents in the form of typescripts and manuscripts and attracted further signatures, numbering some 2000 signatures by 1989, mostly from Prague and the Czech parts of the country, with many further supporters omitting an official public signature for practical reasons. Most Czechoslovak citizens, however, heard of the Charter only through official propaganda, which condemned the Charter as the foreign-inspired work of asocial and antisocialist subjects. 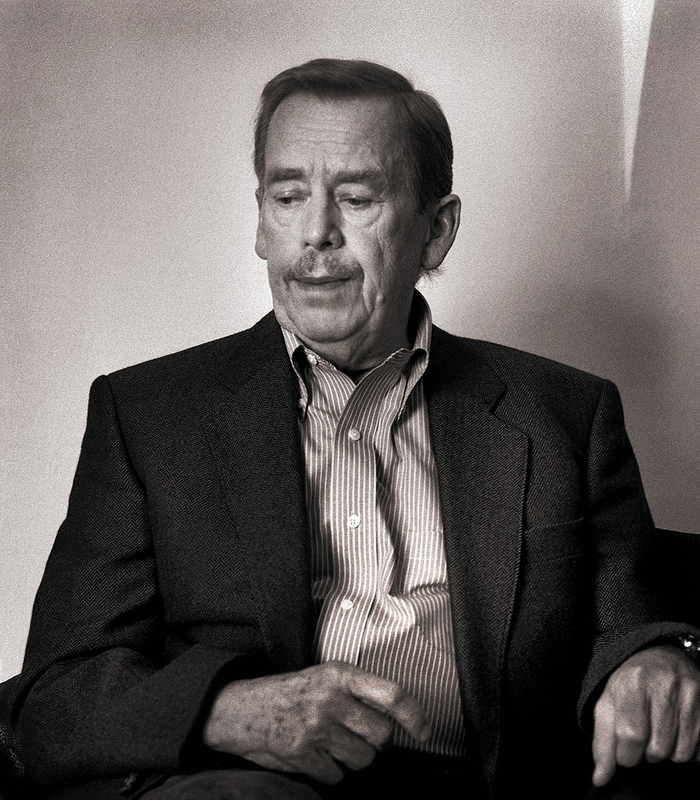 Václav Havel (photograph by Jiří Jiroutek). By Jiří Jiroutek; derivative work: ThecentreCZ [CC BY 3.0 or GFDL], via Wikimedia Commons. Although Charter 77’s words as such were hardly inspiring, its very publication was an inspiration for regime criticism and non-conformism in Prague and beyond. The apolitical language helped to defend the appeal against possible police investigation. Charter 77 was open to the different and diverging strands of existing regime critiques and overcame divisions with a shared appeal for human rights. Therefore, the publication of Charter 77 triggered the formation of a semi-public oppositional sphere and brought together heterogeneous actors that had previously only uttered their discontent in private. Communist dissidents such as the philosopher Jan Patočka or the former minister of foreign affairs Jiří Hajek, bourgeois intellectuals like the playwright Václav Havel, and many religious individuals, both clergy and lay people, such as Václav Benda, joined in the common cause of human rights. Many of them shared the experience of losing their official position in academia or public life after the violent end of the Prague Spring and had to take up physical labour during the so-called normalisation period after 1968. From a transnational perspective, Charter 77 marks off the beginning of a new form of protest against the communist regimes in Eastern Europe. Like the other human rights movements in Poland or the Soviet Union, Charter 77 turned the demands of the Helsinki Accords into public action. In the underground publications of the so-called Samizdat that emerged soon after January 1977, this oppositional sphere organized direct political action programmes. The Committee for the Defence of the Unjustly Prosecuted (VONS, 1978) translated the appeal into actual humanitarian relief work. By 1989, Charter 77 had published 572 documents on human rights violations and various other topics, such as environmental issues, questions of peace, or historiography. With its mixture of formalism and universalism, Charter 77 overcame the manifold ideological differences of the Czechoslovak opposition, but never entirely resolved those tensions. Even more, the integration of different parties strengthened political opposition in Czechoslovakia, and the invocation of universal human rights empowered this community building. Charter 77 stands for the deep impact of the “language” of human rights since the 1960s. For many Western observers Charter 77 expanded the existing human rights discourse to Central and Eastern Europe and underlined the emerging significance of new social movements. In contrast, the perception of it in Czechoslovakia and in neighbouring countries was strictly limited to similar-minded oppositional movements. Its influence would only demonstrably increase after the collapse of Communism. Charter 77 was the most important document of political protest under Czechoslovak Communism. Yet its formalist argument lacks a coherent moral justification other than the rule of law. In consequence, the text of the appeal reflects the bureaucratic language of “normalisation” Communism. References to the “humanistic development of our society“ or the “progressive forces” striving for such development even resembled a Marxist-styled understanding of the world. In this ideological and linguistic neutrality, human rights and the dignity of the human being as such served as the transcendent principles of the Charter’s action. The historiography of Charter 77 is dominated by the works of contemporary Western scholars, who stood in close contact with dissidents in Prague and other places of Central Europe. Added to which, some former oppositional actors such as Milan Otáhal became historians after 1989, further contributed to our knowledge of Charter 77. Their very proximity to the movement in Central Europe and their support, both morally and financially, calls for further revisiting these early accounts. In recent years, a more distanced perspective historicised many of these interpretations, such as the teleology of civil society in understanding opposition. Jonathan Bolton, for instance, questioned many of the narratives surrounding Charter 77, and deconstructed them as foundational myths of the oppositional sphere, providing a fresh picture of human rights appeal. Taking into account the popularisation of human rights as a key term of the 1980s, it remains debatable to which degree human rights posed a clear-cut concept. Much of the transnational and entangled historiography, for instance Robert Brier, suggests understanding human rights as a concept that enabled communication between East and West and often connected divergent and unrelated discourse. It remains to be seen if this research will provide new findings in the near future. Bolton, Jonathan. Worlds of Dissent: Charter 77, the Plastic People of the Universe, and Czech Culture under Communism (Cambridge, Mass. : Harvard University Press, 2012). Entangled Protest: Transnational Approaches to the History of Dissent in Eastern Europe and the Soviet Union, edited by Robert Brier (Osnabrück: Fibre, 2013). Spiritova, Marketa. Hexenjagd in der Tschechoslowakei: Intellektuelle zwischen Prager Frühling und dem Ende des Kommunismus (Köln: Böhlau, 2010). Patočka, Jan. ‘What Charter 77 Is and What It Is Not. (Why right in its side and no slander or forcible measures can shake it)’. In Good-Bye, Samizdat: Twenty Years of Czechoslovak Underground Writing, edited by Markéta Goetz-Stankiewicz (Evanston: Northwestern University Press, 1992), pp. 142–144. Havel, Václav. ‘The Power of the Powerless’. In The Power of the Powerless. Citizens against the State in Central-Eastern Europe (Armonk: M. E. Sharpe, 1985): pp. 10–59, http://vaclavhavel.cz/index.php?sec=2&id=5&kat=2&from=5 [21 January 2016]. Feindt, Gregor. Auf der Suche nach politischer Gemeinschaft. Oppositionelles Denken zur Nation im Ostmitteleuropäischen Samizdat 1976-1992 (Berlin/Boston: De Gruyter, 2015). ‘Charter 77 - Declaration, 1 January 1977’. In Charter 77 and Human Rights in Czechoslovakia, edited by H. Gordon Skilling (London: Allen & Unwin, 1981): pp. 209-212. Charter 77 After 30 Years, National Security Archive Electronic Briefing Book No. 213, edited by Thomas Blanton, Vilém Prečan, and Svetlana Savranskaya (Washington, D.C.: National Security Archive, 2007), http://nsarchive.gwu.edu/NSAEBB/NSAEBB213/ [21 January 2016]. List of Charter signatories with their individual signature, edited by Archivum Libri Prohibiti (Prague), http://www.libpro.cz/cs/archiv/charta77/podpisy [21 January 2016]. Gregor Feindt works on the contemporary history of Central Europe, mostly Poland and Czechoslovakia, in a transnational perspective. Among other topics, he has published on the intellectual history of dissent and opposition during late socialism. Since 2014, Gregor is a research associate at the Leibniz Institute of European History in Mainz (Germany) and currently serves as a visiting associate professor for Polish History at the University of Bremen. Citation: Gregor Feindt. ‘Prague, 1977: Charter 77’, in Online Atlas on the History of Humanitarianism and Human Rights, edited by Fabian Klose, Marc Palen, Johannes Paulmann, and Andrew Thompson, 2015-12, urn:nbn:de:0159-20160905107 [2019-04-26].